William W. Graham died on Dec. 20 at his home in Los Angeles, Calif. He was 69 and had been a longtime seasonal resident of West Tisbury, where he owned a home at Mohu in Lambert’s Cove. He spent summers there with his children as they grew up, and created a beautiful network of trails and landscapes on the property. Bill grew up in Washington, D.C., and attended St. Albans School. Friends from his childhood remember him as a star athlete who was kind, intelligent, charismatic, mischievous and funny. He developed his lifelong love of the outdoors as a child on the family farm in Virginia, and working as a camp counselor at the Vagabond Ranch Camp in the mountains of Colorado during his teenage years. He moved to California and attended Stanford University from 1966 to 1970. During his time at Stanford he became active in the anti-Vietnam War movement and passionate about social justice. He attended law school at UCLA from 1970 to 1972, and subsequently practiced law at Williams Connelly in Washington, D.C., for three years. He returned to Los Angeles, and served as a federal public defender for two years. He looked back with pride on the opportunity this role afforded him to give people with few resources a voice in a complex system, which often mistreated them. He taught trial law at UCLA for several years. Bill opened an investment partnership in Los Angeles in the 1980s, which he ran until 2001. The latter part of his life was devoted to philanthropy. He worked closely with multiple philanthropic organizations, including the Puente Learning Center, which has provided educational and family support services to over 100,000 people in Los Angeles. His various efforts served to advance educational and extracurricular opportunities for children, job skills training for adults, rehabilitation services for war veterans, and multiple other causes. 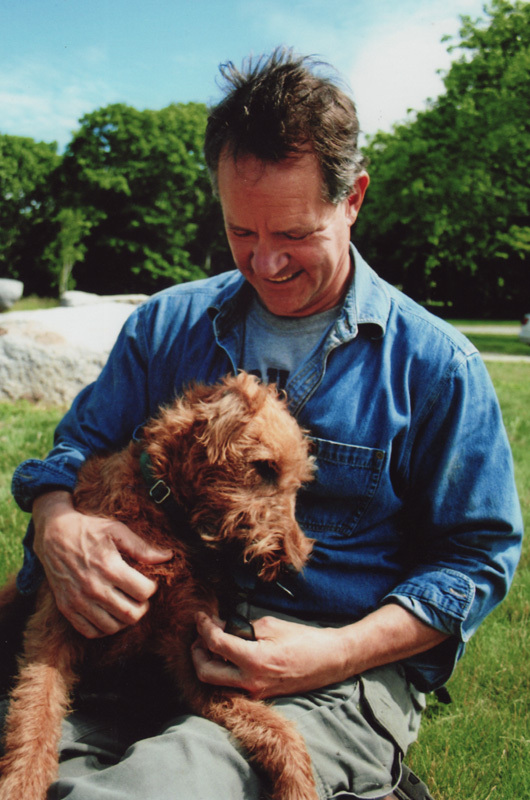 He played an active role on the board of the Martha’s Vineyard Hospital during a critical transition period from 1996 to 1997, and supported conservation efforts on the Island. In addition to his support of organizations, he was also known for identifying individuals in need, and providing them with resources at critical times. In line with his strong belief that giving should be its own reward, he sought to keep his financial contributions anonymous. He loved quirky characters, outsiders, people with vision and a good sense of humor. He loved vanilla ice cream in large quantities, a good book and a nap, and had a passion for moss and rocks. He cleared brush by hand and in tractors to make paths and viewpoints, to sculpt and preserve land. He was a father who drove carpool, made pigtails, coached soccer and sang to his kids before bed. Bill will be remembered by family and friends for being an advocate for the underdog, a deeply loyal friend in times of need, a devoted father, an avid reader, a lover of music and art, a photographer, an outdoorsman, a sailor, a rebel, a deep thinker and someone who had the power to bring abundant light and love with his wonderful humor, intelligence and compassion. He is survived by his sister Elizabeth Weymouth, his brothers Donald Graham and Stephen Graham, his children Edward Graham and Alice Graham, his wife Sally Lasker Graham, and his beloved dogs, Fiddle and O’Malley. Could not have painted a better picture of Bill Graham!! His core values: love of family and rights of people... love of moss and woodland trails! Beautifully written. I never met him, but he was a great friend to my father, Walter A. Bill was great friend and an exceptionally generous human being. Bill valued people because of who they were and what they did for others. The world is ever so much dimmer without the light he brought to those around him.